In this article, Marco speaks with Deacons Garner Vergara and Israel Quirit. 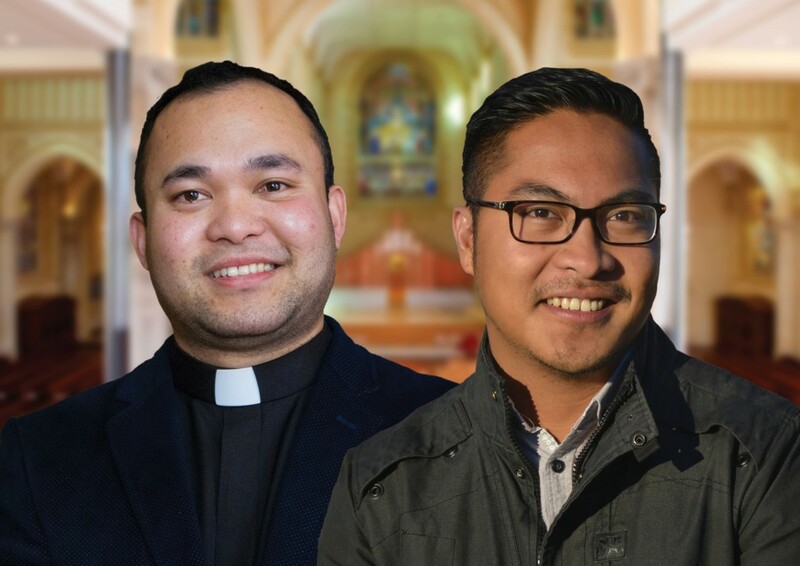 At the age of 25 and 26, and on the verge of being ordained priests for the Archdiocese of Perth, Deacons Garner Vergara and Israel Quirit are living proof that the Catholic Church in Australia is alive and kicking with youthful zeal. The two deacons will be taking this decisive step on their life journey on 1 August 2015 in front of hundreds of friends and family who will travel from all parts of Australia and the world to witness the great event. “I cannot help but think of how rewarding it is to achieve what I’ve been discerning for 10 years throughout my priestly formation,” said 26-year-old Deacon Israel. “Despite this, it has also been a slightly frightening and challenging task. I am eager to make a difference and bring the Gospel of Christ into the world,” he added. Born in the Philippines and raised in a small city named Dipolog City, Deacon Israel studied Electrical Engineering at the Jose Rizal Memorial University. It was in 2005, he says, that he began to feel strongly called to enter religious life. He arrived to Australia in 2009 with a religious community and began his formation at St Charles’ Seminary, Guildford. Through years of careful discernment, he understood that God was calling him to be a diocesan priest – a revelation that convinced him he needed to act upon. Still slightly bewildered at having been called by God to the priesthood, Deacon Israel reflected on the works that the Lord has done in his life thus far with amazement and pride. “Having said that, I hope to be able to fully use my God-given gifts and talents throughout my priestly ministry. I hope to firmly ground myself as a priest, administering the sacraments, the Eucharist, serving and walking with God’s people in order to contribute to the well-being of all men and women of good will,” Deacon Israel said. His words of advice for those discerning the call to the priesthood emerge as pearls of wisdom from such a young man whom the Lord has used to possibly attract more youth to this honourable ministry. “Be not afraid! Be not afraid to dedicate your life to the service of God and others, and go against the tide of ‘naturalism,’ ‘evidentialism’, ‘atheism’ and ‘materialism’ of the world. These views completely deny the existence of God. “While it is important to have healthy hobbies during the discernment period, discernment must involve prayer and spiritual life; that is, staying oneself close to the Sacraments and the Church, talking to a Spiritual director, reading Spiritual Classics, being involved with their local parishes, and finally having a devotion to the Saints and the Blessed Virgin Mary,” Deacon Israel said. Twenty-five-year-old Garner Vergara, who also originates from the Philippines, will soon join Deacon Israel and six other deacons in taking this crucial step of his religious formation. Having spent the past eight months serving as deacon in the Banksia Grove Pastoral Area, Deacon Garner feels humbled and overjoyed to now be taking on a role that has been so close to his heart for seven years and for which he has had at times to struggle. “My journey to the priesthood has been occasionally long and hard. My parents were not entirely supportive of me becoming a priest. “Being the only male child in the family, culturally I was expected to lead the family and carry on the family name. Despite these pressures, Deacon Garner arrived at St Charles’ Seminary at the age of 18 and saw the Lord gradually work both in his life, by surrounding him with role models of service and missionary work, and in his family’s life, by softening his father’s heart towards his choice of becoming a priest. Deacon Garner now feels ready to offer himself wholeheartedly to the Lord and looks forward to the ministry he is about to fulfill. “Today, I hope to minister in the future to the Church in Perth and beyond. I endeavour to use the gifts that God has given me to be an example of a good Christian disciple, to be of service to the People of God for the greater glory of His name,” he said. Deacons Israel and Garner will be ordained to the priesthood by Archbishop Timothy Costelloe SDB at St Mary’s Cathedral, Perth, on 1 August 2015, at 10am.